Nevada is on the verge of voting on a drastic change to its rate structure that would retroactively affect anyone who has already installed solar based on the original net metering tariff. Residents and several solar CEOs are unhappy with this sudden change in direction. Commissioner David Noble in a draft order is proposing a two-part tariff consisting of a service charge and a commodity charge based on volume. 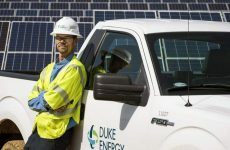 Noble is also proposing that the new tariff that would take effect Jan. 1 apply retroactively to all net metering customers, a change that concerns both the rooftop solar industry and customers who entered into contracts based on the original net metering tariff. The draft order will be considered by the three-member commission at its meeting Tuesday. 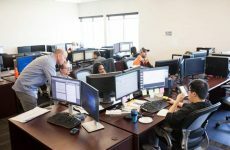 The draft order outlines a transition of all small commercial and residential net metering customers to a cost-based rate structure over the next four years that will eliminate unreasonable cost shifts between ratepayers without resulting in any additional profits to NV Energy, according to a statement from the agency. If the draft order is adopted by the three-member commission, NV Energy will then calculate the exact amounts of the rates based on the PUCN’s instructions. The new rates will be filed with the PUCN for final review within seven days of the effective date of the order. The timing of this seems kind of odd considering the huge news of the government’s continued backing of the growth of the solar industry. The reactions from the solar industry arrived shortly after the news came out. 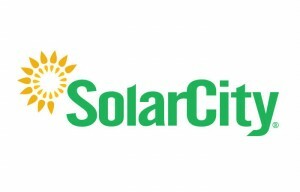 SolarCity CEO Lyndon Rive went so far as to say that the company will cease sales and installation operations in the state. 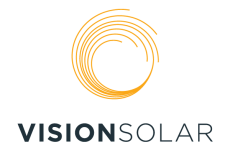 “If the Nevada Public Utilities Commission’s proposed decision is accepted tomorrow it will destroy the rooftop solar industry in one of the states with the most sunshine. There is so much wrong with the decision, the only option for the PUC is to reject it. The one beneficiary of this decision would be NV Energy, whose monopoly will have been protected. The people will have lost choice, jobs, and faith in their government. “Accepting the proposed decision tomorrow would be an unfortunate step backward for Nevada and the solar industry. If the Nevada Public Utilities Commission accepts this decision, the state of Nevada will lose jobs, economic output, and consumer choice, while protecting the interests of an entrenched monopoly, NV Energy, and its out-of-state owner Berkshire Hathaway Energy.